Bedroom, Addison Brown, 2018. 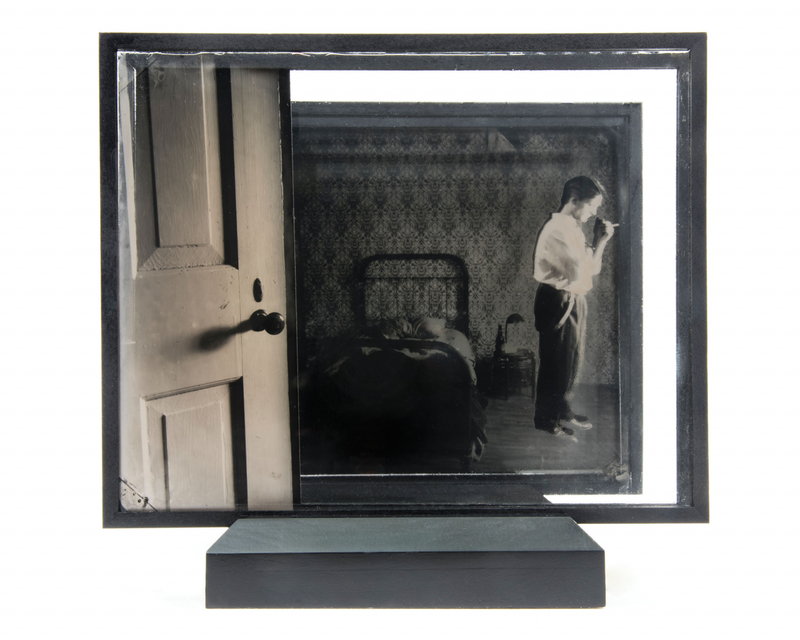 Layered ambrotype, cut vinyl, glass, wood, 11.5 × 8.5 ×5.87". Kris Sanford, Well Suited, 2015. Archival inkjet print, 10 × 10". 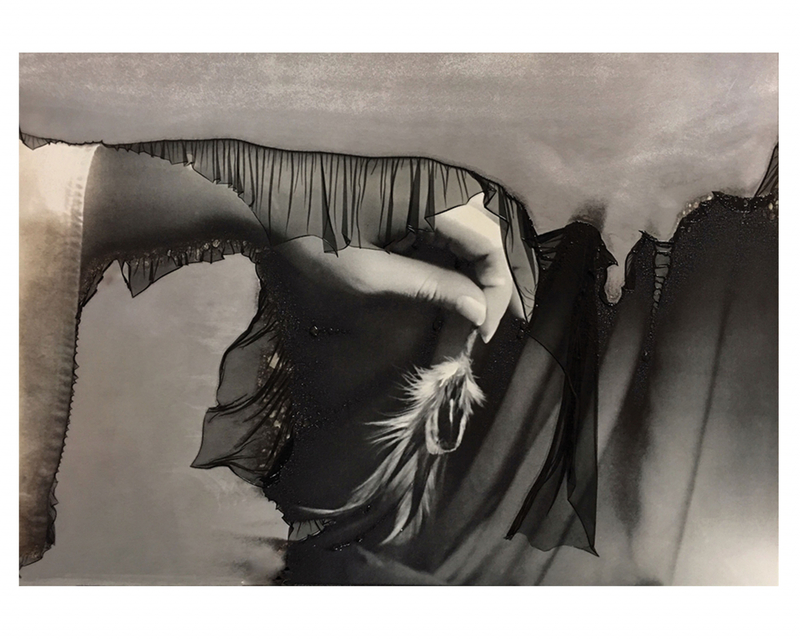 Sara Silks, Visitation, 2017. Mordançage, fiber-based silver gelatin print, 14 x 11". Addison Brown, Kris Sanford, and Sara Silks explore the tensions and nuances of how identity is visually constructed and performed through hybrid experimental photography. Brown’s handcrafted, multi-layered ambrotypes construct open-ended narratives that blur the lines between reality and fantasy. His series Suspension of Disbelief blends the ambient effects of cinema with historical portraiture. Brown inserts himself into his photographs, performing different fictional personas for the camera, exposing the fluidity and instability of identity. 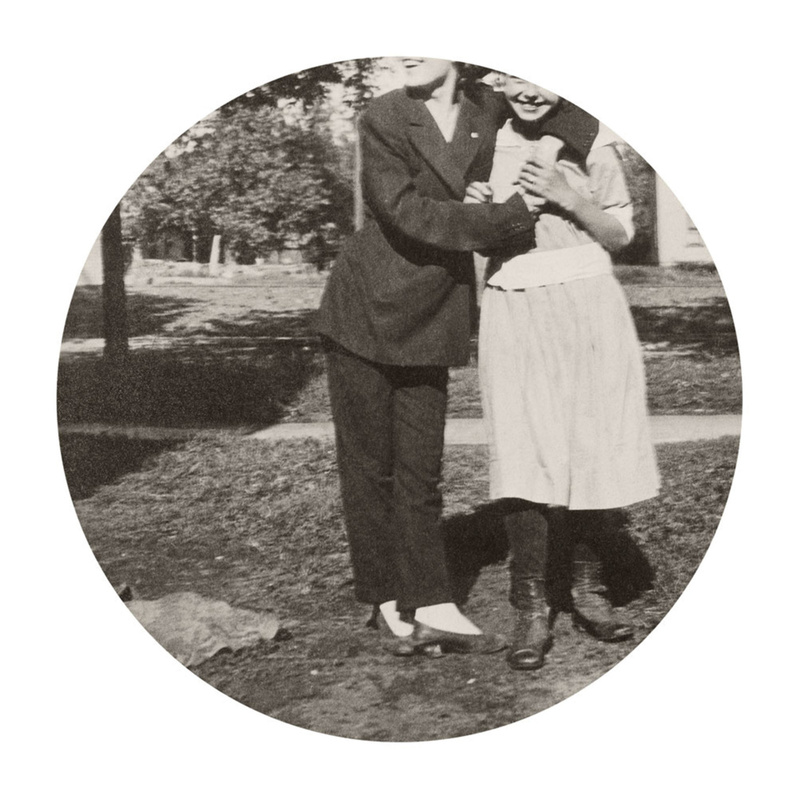 Sanford’s series Through the Lens Of Desire examines relationships through a queer lens with vernacular photographs made between the 1920s and 1950s that picture either men together or women together. Through appropriation and intervention, Sanford physically and conceptually reframes the images and brings attention to the subtle points of contact between figures to construct what she calls an “imaginary queer past.” Silks’ intimate and experimental series Studies of Women explores the simultaneous vulnerability and strength of the female spirit. Her allegorical images capture the inner conflicts of young women attempting to situate themselves in Western society. Her photographs blend silhouettes and mudras-like hand gestures with natural forms to explore personal narratives through a distinctively contemporary feminist lens.